The much awaited annual celebration of Performing Arts for 2018 is here! 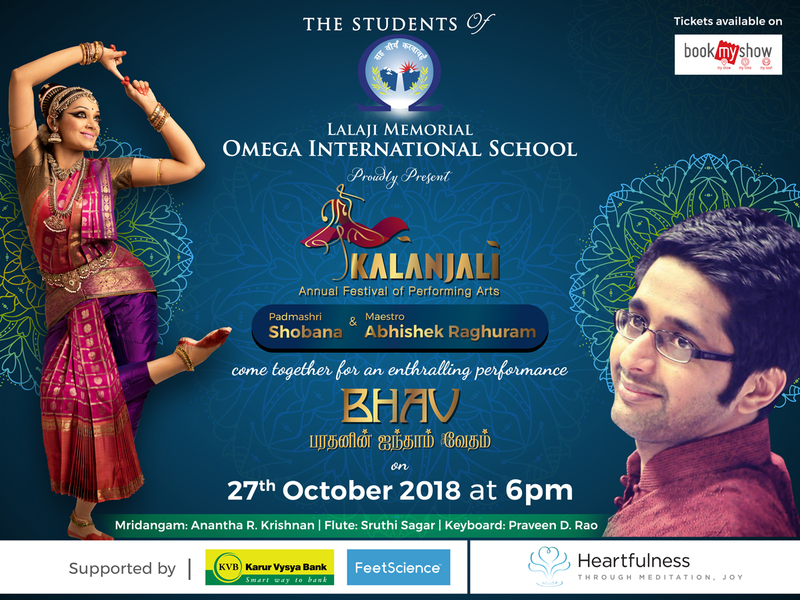 Scheduled for 27th of October, this year brings together popular stalwarts from the industry – Padmashri Shobana and Maestro Abhishek Raghuram. Mark your calendar and pick your tickets for it is going to be one epic show! 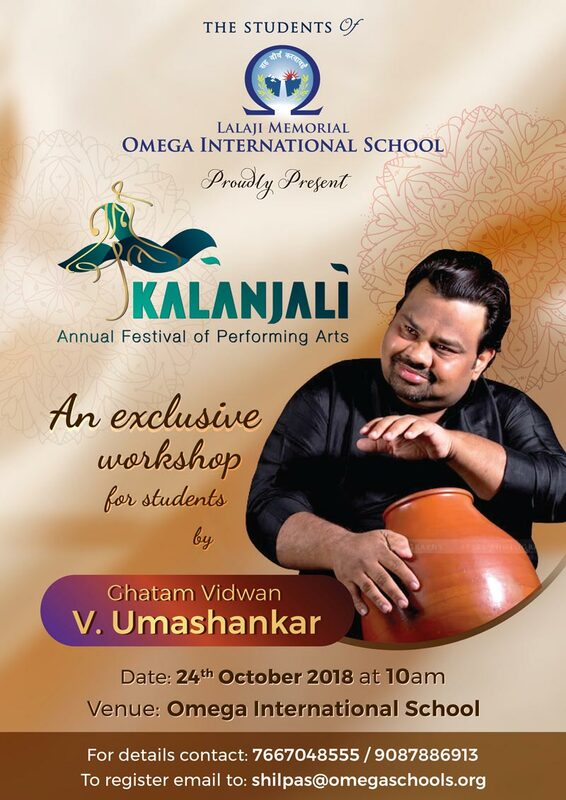 An excellent opportunity for the student community; Kalanjali 2018 brings Ghatam Vidwan Shri. V. Umashankar to Omega campus for an exclusive workshop for students. Register your school’s participation now!